The 3D structure is from 1igt in IMGT/3Dstructure-DB. 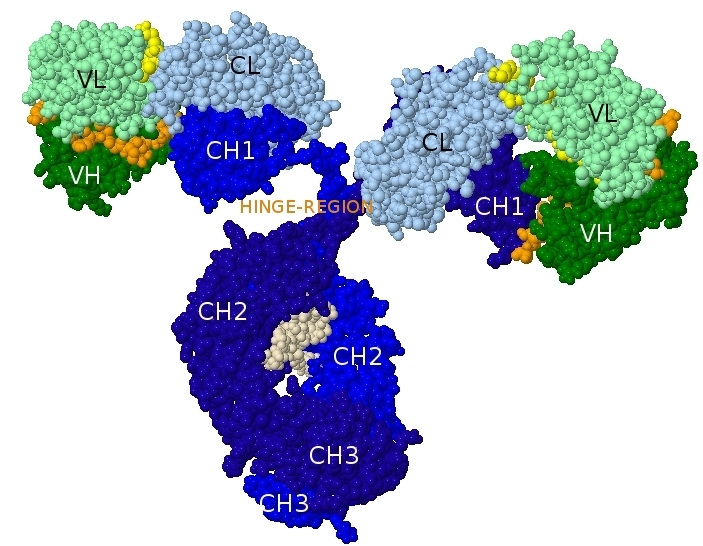 Click here for a Schematic representation of an immunoglobulin. The first crystal 3D structure of a complete human immunoglobulin is that of b12, a human IgG1, anti-gp120 [HIV-1], determined in 2001 (PDB code: 1hzh in IMGT/3Dstructure-DB).